A business in San Francisco had recently contacted us for emergency restoration services at their commercial property location. Since this was not a smaller residential location, we had dispatched a larger team of restoration professionals to the site to assess damage and determine what kinds of repairs and services were needed. They had experienced some light flooding that they tried to take care of without using any experts in the restoration field. Unfortunately, that means they did not actually solve their problems, and instead found themselves with a larger mold infestation issue. - Fix Water Problems: First off, all water issues MUST be repaired in order to prevent mold spores from have access to moisture. Mold feeds on water and cellulose and can be hidden from sight at first. All wet and water damaged materials must be removed. 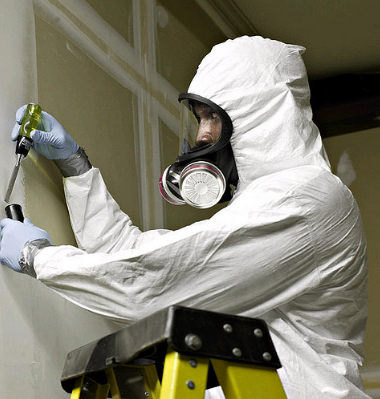 - Isolate Mold Contaminated Areas: There are several methods used to contain mold, including physical barriers, covering doorways and entryways polyethylene sheets, sealing sheeting with tape, and negative air pressure chambers to halt the spreading of spores. Cooling and heating systems are also turned off to prevent further spread of mold. - Air Filtration: Special filtration equipment like large air scrubbers and HEPA vacuums are used to capture tiny invisible microscopic mold spores right out of the air. - Cleaning or Removal of Mold-infested Materials: Depending on the amount of mold growth and the different types of surfaces, necessary steps are taken to either clean areas that are cleanable, such as counter tops, wood surfaces, etc.. or remove areas that are not cleanable but are replaceable, such as carpeting or drywall. 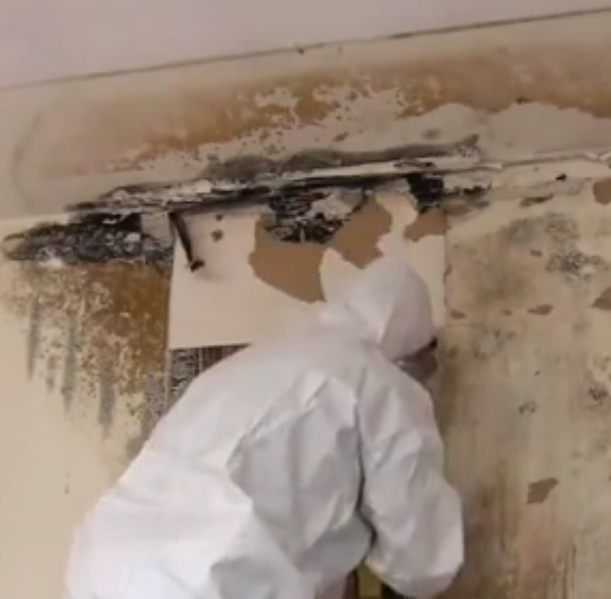 Anything that is removed will later be re-installed at the end of the mold remediation process. We use antimicrobial and anti-fungal treatments to ensure elimination of all mold colonies, as well as stopping the formation of new colonies. - Drying and Restoration: Once all the moisture and water has evaporated and the work areas are completely dry, it's time to restore and replace all the materials that were removed earlier. For example if carpets and drywall were removed, they will now be reconstructed and installed so that everything looks as good as new. If your property has experienced damages, call Restoration Selection now to dispatch an emergency crew!